What games do you think (or wish) should have a remake, remaster, reboot, or sequel and why? Child of Light 2 (sequel, not reboot). It’s rumored, but nothing solid. That game was dreamlike and atmospheric. Beautiful soundtrack, beautiful art style. It wasn’t the deepest game, but the simplicity was charming, which was appropriate for a child’s fairy tale adventure game. I remember seeing trailers for that (Child of Light) but never played, looks interesting. Assassin’s Creed imho. Origin and Odyssey were great, but they should ditch the whole Abstergo, Assassin’s & Templar crap and just tell stories with a historical background. Someone needs to port XCOM - Enemy Within and Longwar into the XCOM 2 Engine. Totally agree with this one. I fell in love with the poetic storytelling and unique fighting style. Freelancer. It’s practically abandonware by now so it shouldn’t be that difficult to make similar in feel game. I don’t have a billion dollars to even attempt Star Citizen and Elite Dangerous turned out aggressively boring. I just want some decent space game ala Freelancer. That as well! I knew I forgot something! Also, a reboot of the Black&White franchise. Don’t Peter Mole something still owns the IP? To many slow fighting games now. On November 3, 2017, Perfect World announced the closure of Runic Games, along with large layoffs at Motiga. Perfect World said the closure was to reflect their company’s focus on games as a service. One set of developers from Runic, including Marsh Lefler, Patrick Blank, Allen Fong, and John Dunbar, along with former Gearbox Software members, established Monster Squad Games and are currently developing a player-versus-environment cooperative game. I have no idea who owns what. It was published EA, but MS bought Lionhead Studios somewhen at that time and a lot of devs left. KOTOR and Morrowind with the original mechanics in tact. Proper Remake of Max Payne 1 and 2. Why - I can get the games to run on Windows 10 but it is a bit of a process. It’d be nice to have versions of this game I don’t have to work to get to run. Change - Get rid of the nightmare sequences and just have it be comic panels instead. Keep - The comic panels and the gun play mechanics. Chances of happening - Never. Rockstar owns the Max Payne IP and I don’t see them ever doing anything more with it. Only recently I was thinking his much in would love a rerelease or Saints Row 2. The original PC port was so botched it was shocking and has never really been properly fixed. 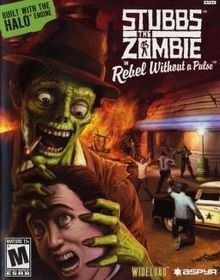 Made before saints row went off the rails with cartoon chunky graphics and all dark and moody, it was genuine competition for GTA, funny the GTA5 feel very much like Saint Row 2. I tjust had so much to do and was hugely fun tonplay co-op the ones after were a steady decline. Torchlight Frontiers combines the heart of the award-winning Torchlight series with the ability to vanquish a rising evil once more through a shared, persistent & dynamically generated world. I find it hard to believe that bethesda wouldn’t find a way to mess it up. This game is so crazy fun, all made by 3 people, with two people porting it to Mac and Linux. They since moved on to a new game, but I would love a Cortex Command 2. This game while a ton of fun, feels like (last time I played 2 years ago) more of a really polished tech demo. They story was ditched, but there is some lore bits here and there (making you want more). Worth the $20 asking price, but could use a better story and some more polish. I played this game for over 10 years. However I doubt that we will ever get a proper re-make. EA faggots tried to make Generals 2 free to play probably with many micro-transactions. People didn’t like it so they cancelled the development.